Here at Win-Dor, we care about your security. That’s why all our home improvement products are accredited by Secured by Design. We want to give you the most choice while still ensuring that security is never compromised. 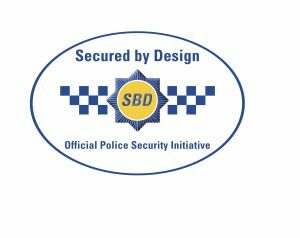 Secured by Design is a police backed initiative that was founded in 1989. Its aim is to prevent the risk and fear of crime. It does this is by setting out standards that windows and doors should achieve as well as new housing developments. What do products need to pass? To gain Secured by Design accreditation, windows and doors must at least be at PAS24 standard. These are the enhanced security requirements for the UK. This involves passing several attack tests to ensure the products are resilient against intrusion. Rigorous testing is performed on any products attempting to be approved by Secured by Design. This ensures they are resistant to forced impact and damage. Letter plates should be no bigger than 260mm x 40 mm. Location and design are important to prevent the removal of keys from the inside of the lock. Doors must have a chain to limit unwanted intruders entering. Both windows and doors should have multi-point locking mechanisms that are thief resistant. A door must also have a viewer to allow any visitors to be seen without the homeowner being visible. This is unless there is clear glass in the door or next to it. Improved security in your home will give you the peace of mind that your family and possessions are safe, even when you’re not at home. Homes with Secured by Design certified products have been shown to be up to 75% less likely to be burgled. It’s clearly a worthwhile investment to consider. The threat of crime is a big factor in making people want to move house. If you can feel more secure at home, you can feel reassured to stay. When you’re selecting your new windows and doors, choose a company who offer you Secured by Design accreditation. If you want to upgrade your home to ensure it meets these security standards, contact Win-Dor today.